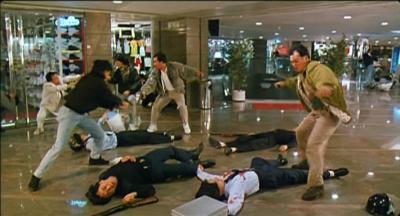 Best of the Best was one of the first heroic bloodshed films I saw once I got into Hong Kong cinema. Back then, I didn't really know of any of the actors or actresses appearing in the film, and certainly didn't know how big a name each person was. I did remember liking the film, which is why I bought it on DVD, and I'm happy to say that now that I am familiar with all of the main actors and actresses their reputation does not ruin the film at all, but in some ways made me appreciate it all the more. The plot of Best of the Best isn't actually anything special, and indeed I think similar takes have been done many times before, both in Hong Kong and Hollywood. 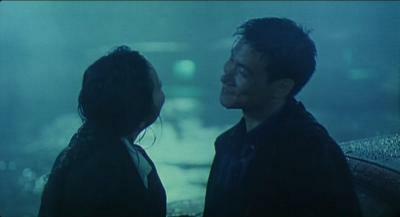 It is simply a case of a good cop and head bad guy's daughter falling for each other. Rather that is the main storyline summarised. Needless to say head bad guy does not like this situation, and will go to great lengths to make sure that his daughter and the cop do not see each other again. 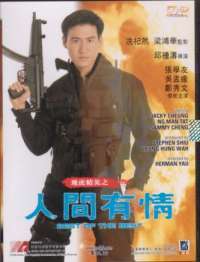 The cop is Ah Dee (Jacky Cheung - given lovely smooth facial skin on the dvd cover), and the daughter is Heidi (Sammy Cheng - with a little more weight to her face than she has nowadays). 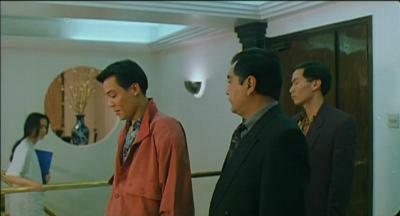 There is also a fairly principal secondary plot, between Ah Dee and his father, played by Ng Man Tat. 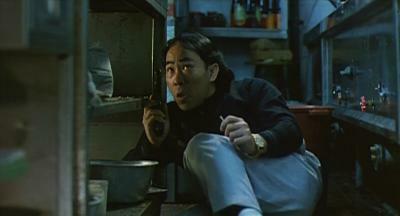 When Ah Dee was little, and his father was a policeman, Ah Dee's brother was accidentally killed by his father, while fighting with someone who had attacked him. This inevitably lead to a distancing in the relationship between the two, and was something kept them apart on an emotional level from that point on. Several years later Ah Dee's father, known to some as Brother Ball, had quit being a cop, ran a bar and had become a bit of an alcoholic, whereas Ah Dee had grown up to be a top police officer, and joined the SDU - much to his father's displeasure due to the high danger factor. 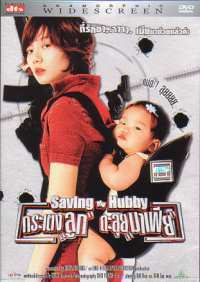 On one mission Ah Dee saves the life of Heidi, and soon the to become close. 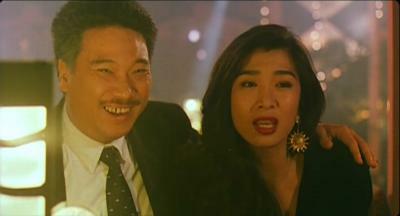 Her father, however, is a head crime boss, Ngan Kwan, who used to be a cop alongside Brother Ball. Knowing that having a cop going out with his daughter was not good for him, he goes to lengths to stop them seeing each other. First he is non-violent about it, but soon when those methods don't work, violence is used - and then there can only be one response from Ah Dee. Best of the Best, while not really being that original in its plot, is still an enjoyable watch. For me, it was the acting which raised it up a level or two. 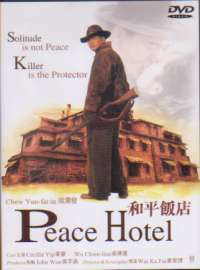 I've seen some films where I didn't think too much of Jacky Cheung's acting, but this is not one of those films. I actually found his performance to be quite good. He convincingly comes across as being calm when need be, and emotional in the scenes with his father. 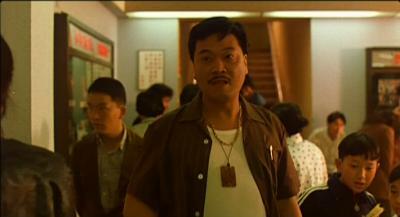 He is, however, upstaged by the other male lead, Ng Man Tat. He is a very versatile actor. I've seen him in countless Stephen Chow comedies where he shows that he has great comic timing and ability, however it is films like this where he shows he has a very good acting ability too. We first see him as the over-confident cop, and he does come across as being ridiculously smug and full of himself. 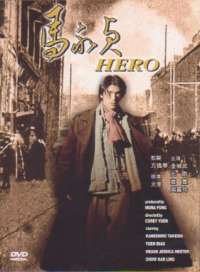 Later in the film he is much more pitiful, and a stark contrast to his original character. The females, while having significant roles, play the secondary parts in the film. The main one is Sammi Cheng. Before I rewatched the film recently I hadn't realised that she was in it, so was quite surprised when she came on screen. In fact it was her voice which really made me realise it was her! She has clearly thinned down a little bit in recent years. By that I'm not saying she is big in this film, not in the slightest, but her face is certainly a little rounder! Anyway, she is decent enough as Heidi. She comes across as also being quite an over-confident character, but one who is very strong in her beliefs, even against her father. Lastly there is Carrie Ng. For one, I've no idea what someone like her (or rather her character) would see in Ng Man Tat's character, so maybe the role should have gone to someone not quite as good looking, or someone a bit older, I don't know. Anyway, taking taste out of it, she again is good in her role as Ng Man Tat's bit on the side. There isn't really that much else to say about her, as while her character gets a reasonable amount of screen time, nothing significant happens with her. 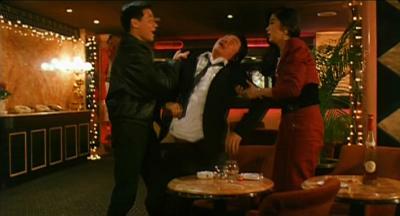 As you would expect in a film of this type, there are a few actions scenes. Most of them are drone bad guys trying to hack someone with their knives, and they are choreographed decently enough. The bad guys maybe do fall a little too easily, and possibly do seem to make every effort to ensure the person gets away, or appears to be doing so for the most part. But then, I've never tried to stab somone or chop anyone up, so I've no idea whether I would end up falling and missing as easily as they do, so I guess I can't really comment. But I will anyway - suspending belief, it is still quite entertaining to watch! There are also a couple of gunfight moments, one reasonably near the beginning, when Ah Dee meets Heidi, and one at the end. In my opinion, these are handled better that the knive stuff. Yes, the bad guys still have bad aims, but not everyone can be a crack shot with a gun! Basically the action is good enough to be entertaining, which is all you can really ask for I guess, although for me there wasn't enough of it. To sum up, Best of the Best is a good film, certainly one I enjoyed. Seeing it again now that I am familiar with the actors and actresses in the film did make it slightly better, as I know what they are generally like in films, and can now see the range of their abilities. It has a good cast, who all do well, making Best of the Best a film worth watching at least once. For audio, there are two soundtrack options: Cantonese or Mandarin Dolby Digital 5.1. The original soundtrack for Best of the Best is Cantonese so, that is the one I chose! The soundtrack is definitely a 5.1 remix from either a mono or stereo source, and unfortunately it is not a good one. Megastar are quite reknowned for doing some terrible 5.1 remixes, and this one probably should go in that bin as well. Maybe it was done early on, as they were just getting used to the technology, but whoever decided on how the sound should be mixed is a moron. Rather than spreading ambient effects, like rain, around the speakers or having car sounds travel round the speakers, it has been made with all sounds coming from all 5 speakers at the same time. What's the point of that?! If that wasn't bad enough, the volume levels are not that consistent either. In some places everything is perfect audible, but a few seconds later it could be very quiet, then shortly later back to normal again. This was very annoying. Lastly there was also a rather strange and also quite annoying echo sort of thing on a lot of the sound effects. This was a rather tinny sort of sound. I don't have a clue what caused it, but it does make the sound effects sound much less realistic, that's for sure. The subtitles on the whole were alright. They were positioned over the film print, so the letterboxed print can be zoomed into on a widescreen TV without losing the subs. I don't recall any spelling errors, but there were a few grammatical errors, and quite a few of the sentences weren't really in flowing english. There was also one instance where I am certain they translated wrongly. Near the beginning after Ah Dee's brother has been accidentally killed, the young Ah Dee is saying something which is translated as "Don't you wake up!" Clearly this is not what he would be saying at all. Anyway, they were understandable, but definitely could have been better. Best of the Best is presented in a letterboxed print. There is speckling quite often throughout the entire film, but in most places it isn't that bad, so is not distracting. Detail levels are ok I guess. Nothing special but nothing too bad either. In some places it is maybe too soft, as the finer details are just not visible, whereas in other places it does look better. Colour levels are also possibly a little inconsistent too. In some scenes everything appeared to be noticeably pale compared to the rest of the film, however at no point were the colour levels well saturated and vibrant. That may be deliberate though. There were also a few scenes where there was a bit of glare over the screen, which also made everything look paler. So all in all, things could have been a little better here. As is pretty much the norm for older released dvds, there is very little in the way of extras on the DVD. You've got the usual trailer for the feature film, and with the Best of the Best DVD there are also trailers for Carry on Pickpocket, Return of the Lucky Stars and Fatal Vacation. That's yer lot. Best of the Best is a pretty good film. I enjoyed it a fair amount, even though the plot isn't really anything special. Most things about the film are of a decent standard, from the acting through to the limited action. I certainly liked seeing Sammi Cheng in a role where it wasn't obvious that she is a pop star. Maybe this film came before she got big, I don't know, but Best of the Best was definitely not just another publicity vehicle for her, or at least it doesn't come across that way. As far as heroic bloodshed movies go, there are undoubtedly better, but I would have to say that I think this one is above par.